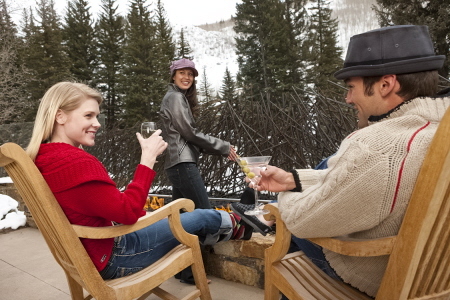 Anyone who has owned or visited a ski house (or condo) knows that second to skiing, is eating. And it's guilt-free. You’re out in the fresh mountain air all day burning off calories. While breakfasts are often hurried affairs (with everyone eager to get in the early-morning runs) and lunches (packed or purchased) are often eaten in the base lodge, great dinners with family and/or friends to cap off the day are de rigueur. They have to be fun, tasty and serious crowd-pleasers. But of course, after a day on the slopes, everyone’s too exhausted to exert too much effort in the kitchen and let’s be real…soaking in the hot tub on the deck is far more appealing than peeling potatoes. We did some digging around and found a couple of recipes that fit the bill perfectly for a long weekend. We’ve always loved Ina Garten's recipes, but her latest cookbook, Barefoot Contessa How Easy is That?, is our new favorite because…well, everything’s easy. After a long drive up to the mountain, you can simply put this dish together on the night you arrive. Serve with a salad and your favorite bread and no one will complain! Make your own. Not only is it easy, but you can customize it any way you like. 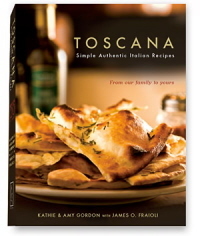 We found a treasure-trove of pizza recipes in Toscana: Simple Authentic Italian Recipes, From Our Family to Yours. This cookbook was written by the owners of Toscana, one of the most successful restaurants in L.A., which celebrated its 20th anniversary last year. In a mixing bowl, add the warm water, yeast, salt, sugar and olive oil, and whisk until the yeast is dissolved and activated (about 2 minutes). Pour the mixture into a mixer using the dough hook, and set to slow speed. Add the flour. When all the flour is added, speed up the machine for 1 minute until a dough ball is formed. Remove the dough and place on a floured countertop and allow to rest about 5 minutes. Divide the dough into 4 “balls,” cover with damp cloth, and let rise for 15 minutes. The dough is now ready to use. Chef’s note: “OO” flour is the choice of pizza bakers in Italy. The “OO” signifies the flour has been finely ground, achieving a super-soft consistency and supple texture, which makes a crispier crust. This high-quality flour can be found in specialty markets or ordered online. 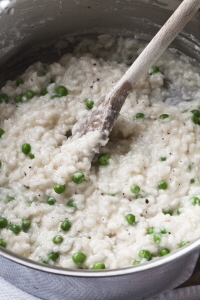 Note: Toscana co-founder Kathie Gordon created this recipe at home before passing it on to the restaurant. Although toasted walnuts are optional, she insists it is the walnuts that make the pizza. Dust a smooth working surface with the flour. Place the pizza dough ball in the center. Flatten the dough into a disc shape with fingers. Next, roll the dough with a rolling pin until it is thin and reaches a diameter of 10 to 12 inches. Sprinkle generously with the mozzarella cheese. 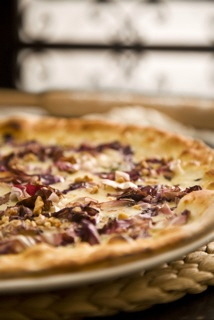 Arrange the crumbled gorgonzola and radicchio on top. Using a conventional oven, preheat the oven with a pizza stone set on the middle rack for 30 minutes at 500 degrees F. When heated, place the pizza directly on the stone. Bake for approximately 6 minutes. For the “plain” pizza lovers in your crowd, you can do a simple Pizza Margherita (Fresh Basil and Tomato) using fresh tomato sauce, mozzarella cheese, oregano and basil leaves. After you’ve flattened the dough, simply spoon the tomato sauce evenly over the top and sprinkle generously with the mozzarella cheese. Same baking instructions as above and add a pinch of dried oregano and arrange the fresh basil leaves on top when it’s out of the oven. Top off the long weekend with a hearty beef stew. We found this belly-warming recipe in the “Winter Fast Friday” section of Great Menus: Seasonal Recipes for Entertaining by Patricia Lewis Mote. 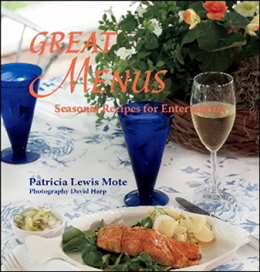 Mote is our kind of cookbook author. Her premise is that entertaining should be fun for everyone, especially the cook. Cook the bacon, saving the grease. Dredge beef cubes with flour and brown in a Dutch oven with 4 tablespoons bacon grease. Remove the beef and put in the onions to brown, about 3 minutes, adding 1 tablespoon more bacon grease if too dry. Then add the 3 tablespoons flour and cook for 1 minute, and gradually add in the red wine and broth, scraping up the bits; add in the celery and garlic and cook 1 minute. At this point put the beef, crumbled bacon, tomatoes, thyme and bay leaf into the pot. Cook covered in a 325° oven for 1 hour. Take the pot out of the oven and add the carrots and potatoes. Put back in the oven for another 30 minutes. Cool and refrigerate for up to 3 days. Remove the thyme sprig and bay leaf. On the stovetop, bring to a simmer. Serve hot with a parsley garnish. Serve with some Cabernet Sauvignon, a salad and a bread you love and....there you go. The weekend’s a success. Photo credits and permissions: The photo at the top of this page was taken by Jack Affleck, Vail Resorts .All recipes reprinted with permission. 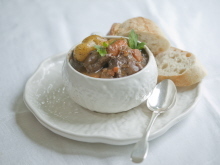 Beef stew recipe includes photography by David Harp, ©2011. At some point during a ski weekend, make this cake. It will be remembered along with all the great skiing feats (and falls). 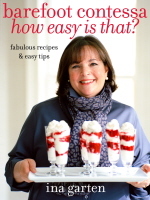 It comes from Ina Garten’s newest cookbook, Barefoot Contessa: How Easy Is That?. Cooking. My friend Barbara Liberman calls it 'easy cake'—I call it delicious. It’s even better served warm with vanilla ice cream." Ina Garten. 1 teaspoon of the cinnamon in a medium bowl. Set aside. batter over the fruit, covering it completely. 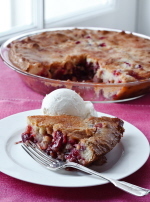 inserted in the middle of the cake comes out clean and the fruit is bubbling around the edges. Serve warm or at room temperature. All of the recipes for this article were reprinted with permission.